Hang on tight because one of the greatest Anime sagas of all time is back, featuring the brand-new never-before-seen Love Live Alive film and the classic hit The Shadow Chronicles . Hang on tight because one of the greatest Anime sagas of all time is back!! 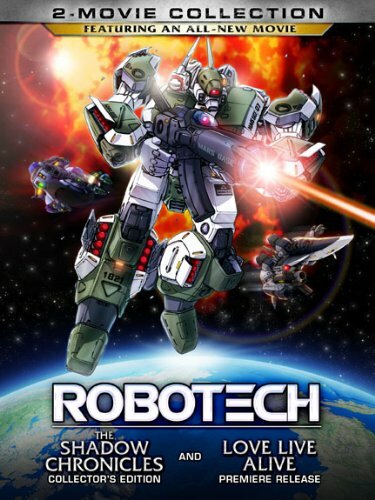 Robotech: 2-Movie Collection crash lands on DVD July 23, 2013, featuring the brand-new never-before-seen Love Live Alive film and the classic hit The Shadow Chronicles. Check out the Trailer below for the Robotech: 2-Movie Collection , out on DVD July, 23! !